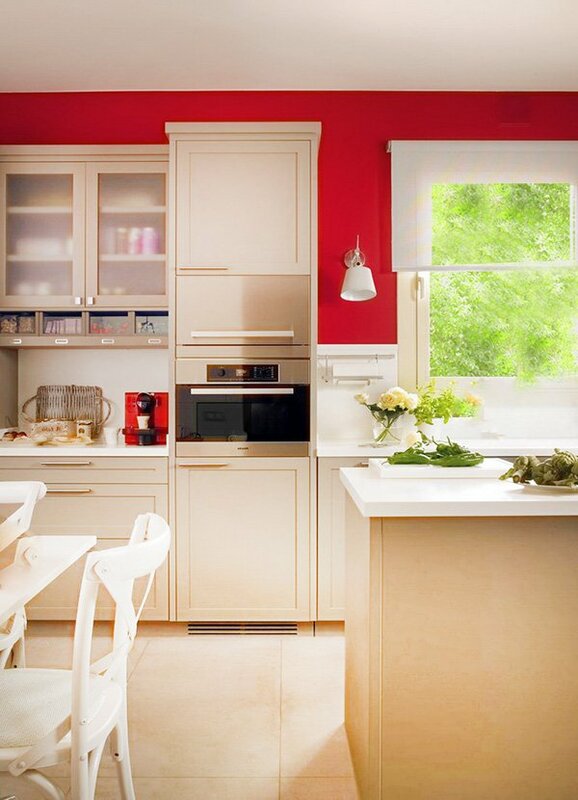 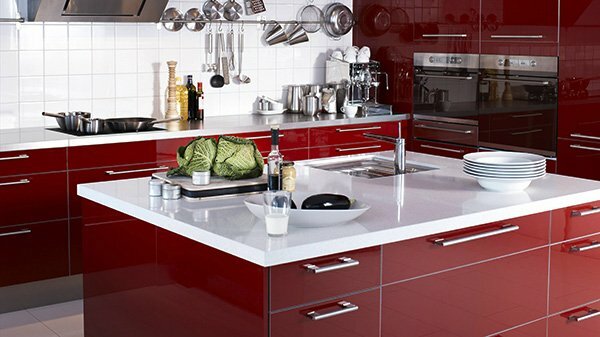 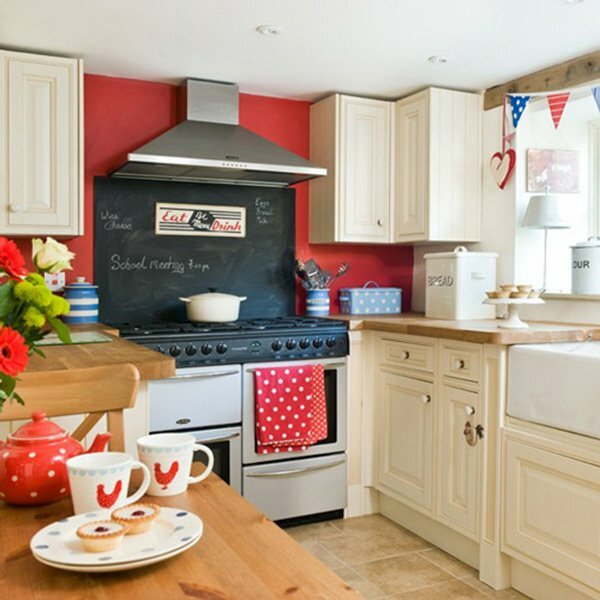 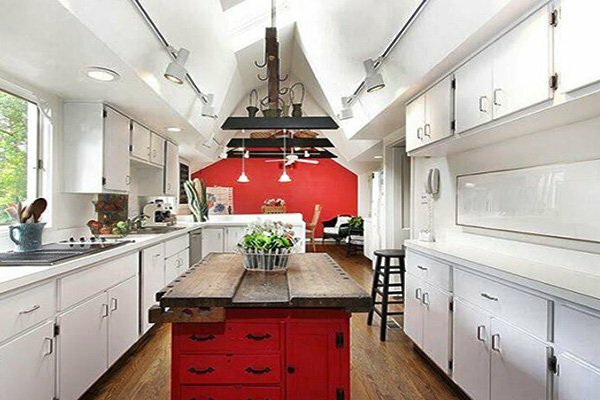 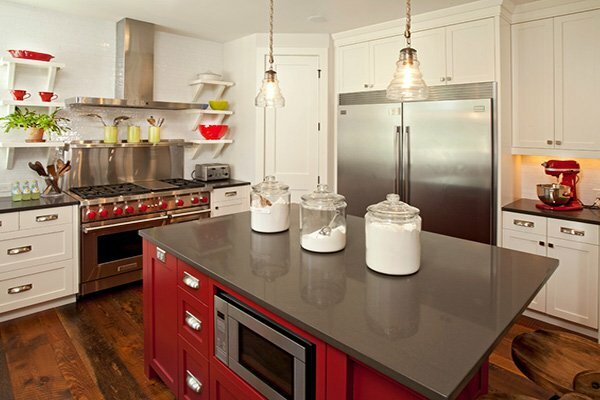 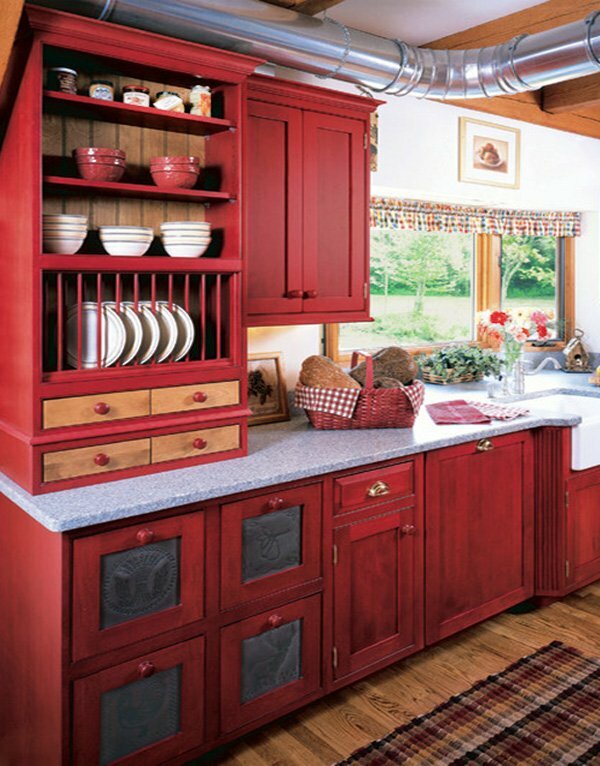 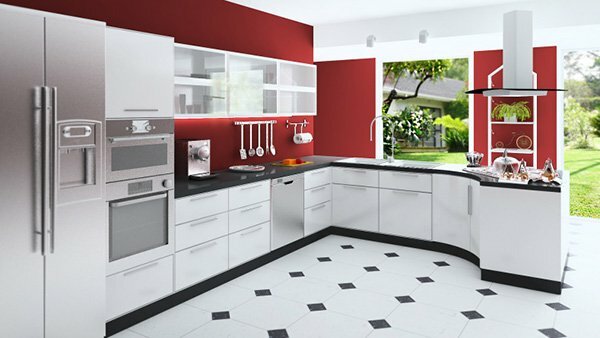 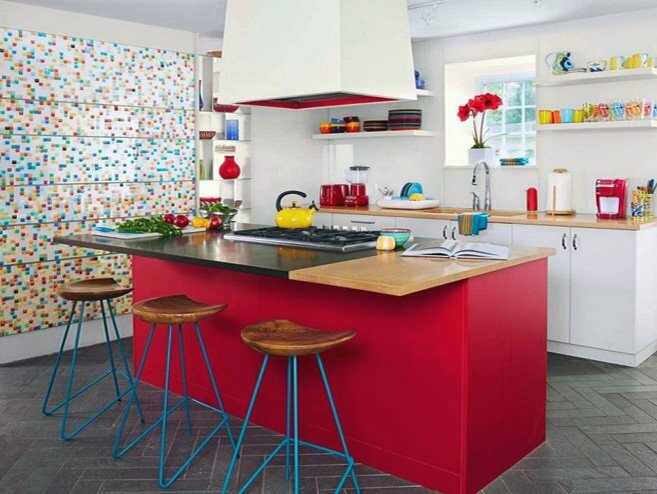 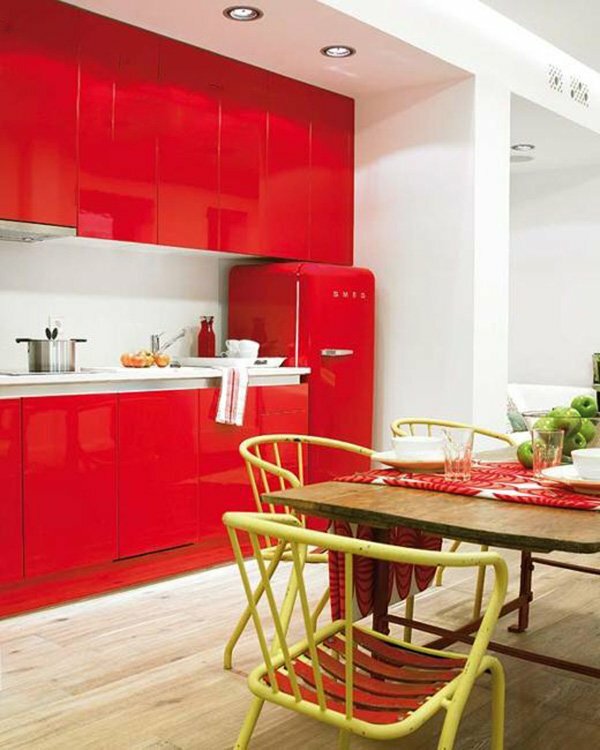 Vibrant and energizing, red is a great choice for kitchen decoration. 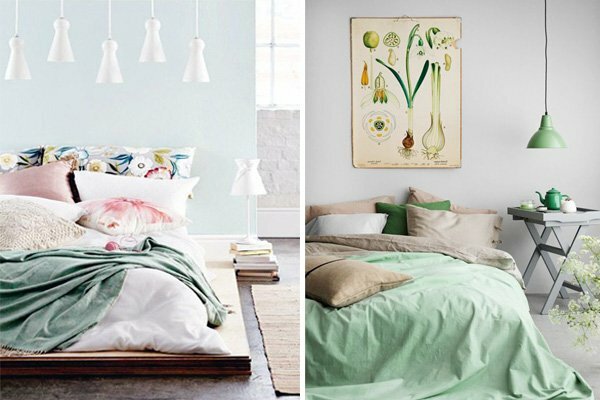 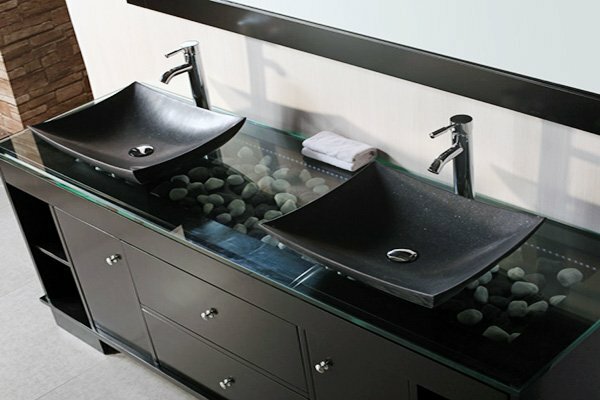 It spices up the room, and also brings elegance. 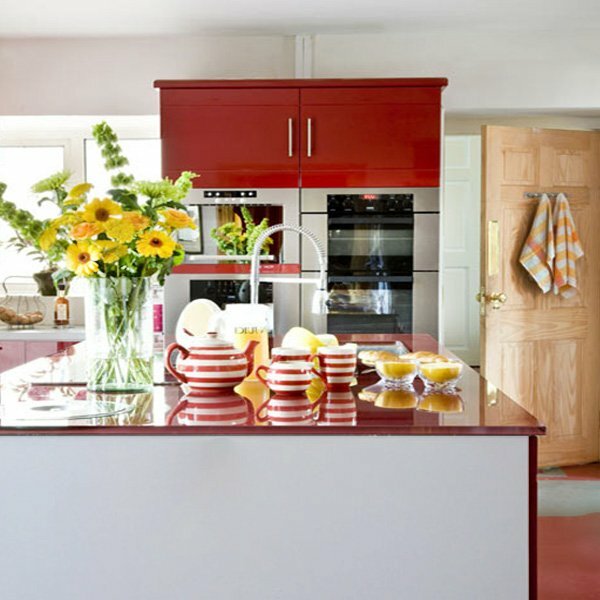 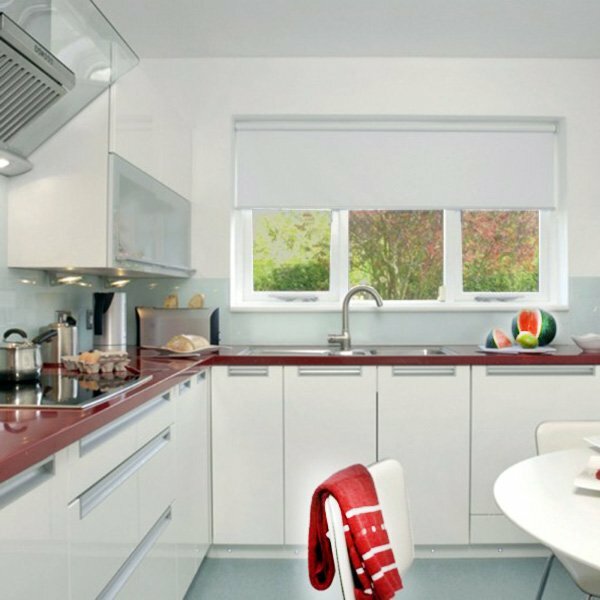 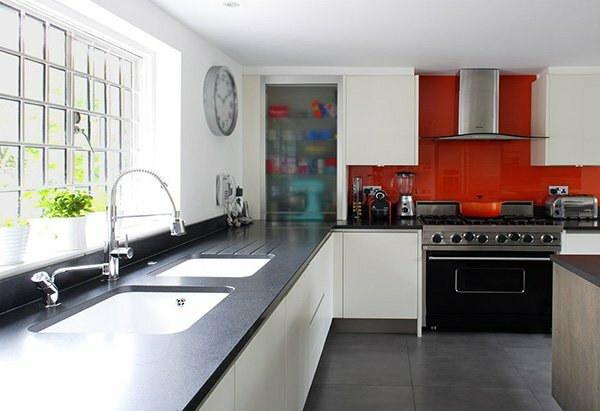 Whether you are going for a retro, classic, or modern kitchen design, shades of red are definitely one of the best options to choose from. 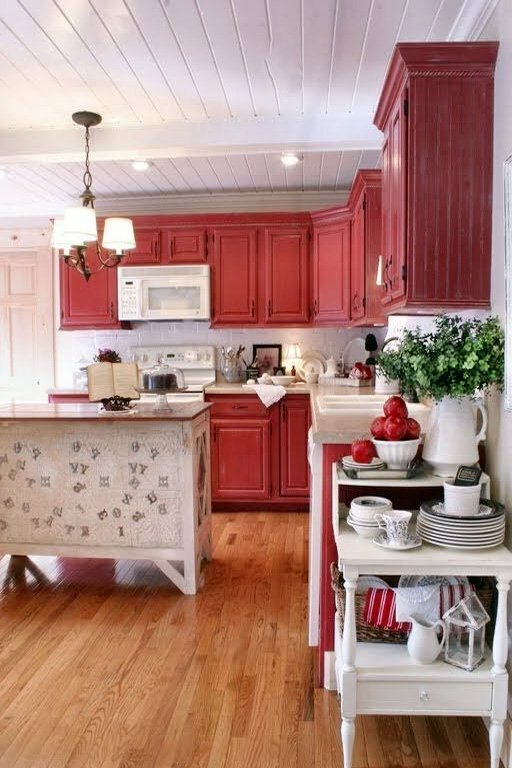 Different shades of red do change the style of the space vastly. 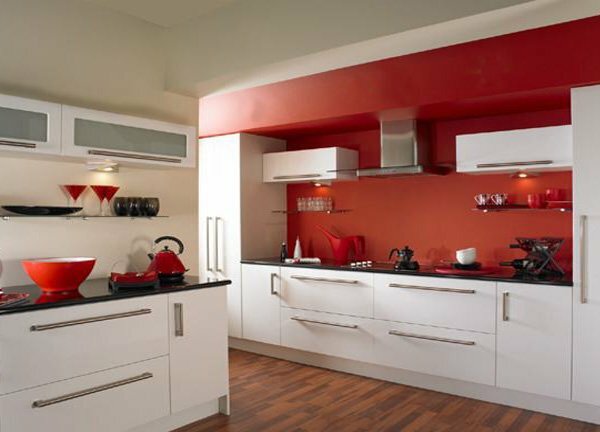 Bright, vibrant red kitchen cabinets together with the harmony of black & white in the overall style result in a perfect modern kitchen. 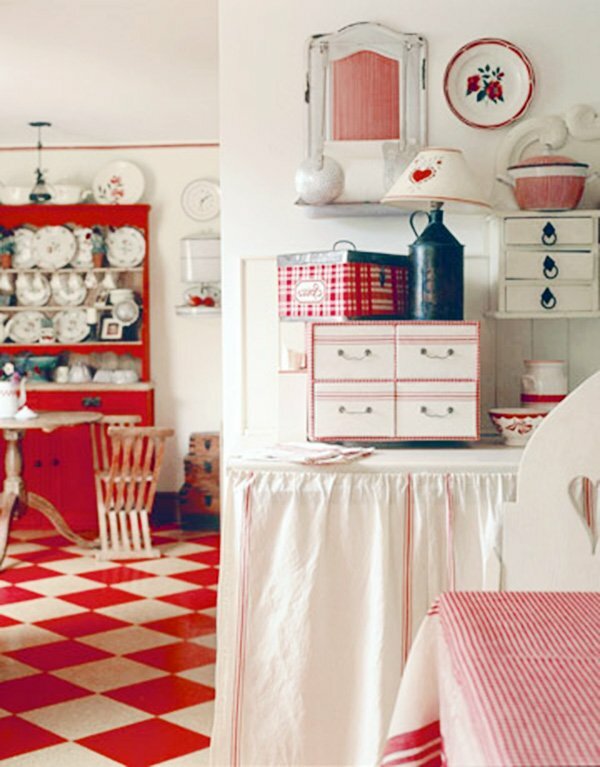 Alternatively, you can use red with softer tones and vintage accessories to create a Retro atmosphere. 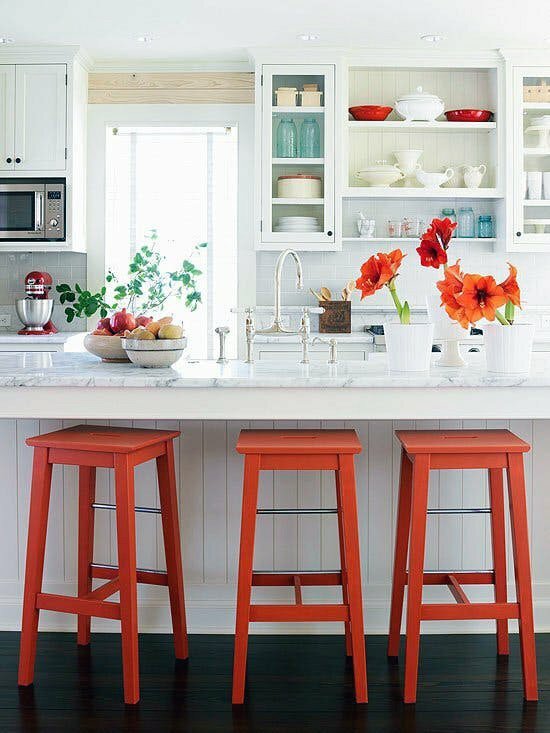 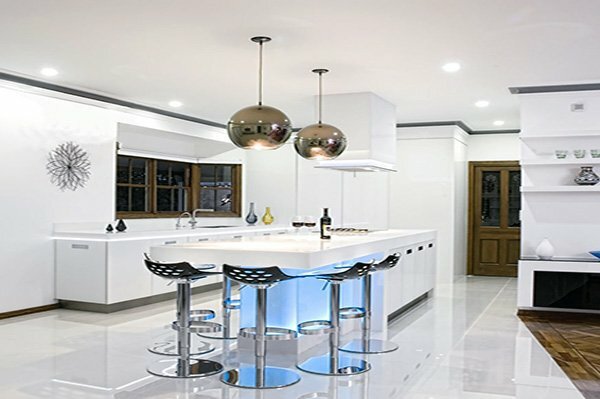 If you do not want it to be really out there, you can use White heavily with a touch of red, perhaps on one Wall, and add a touch of color to your kitchen. 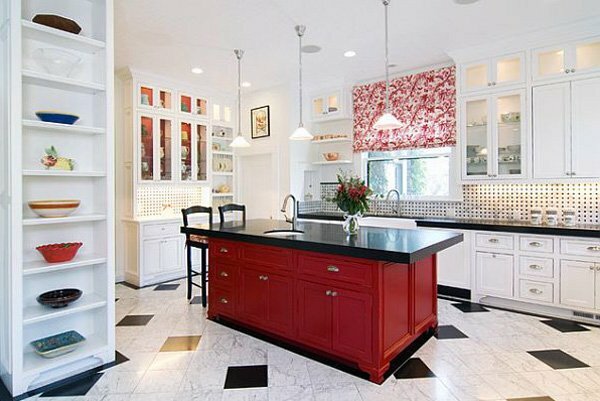 If you have a bright kitchen with lots of sunlight coming in, then you really should opt for red: use a matte, darker shade of red for your kitchen island or your cabinets, and remodel the floors with black and white floor tiles. 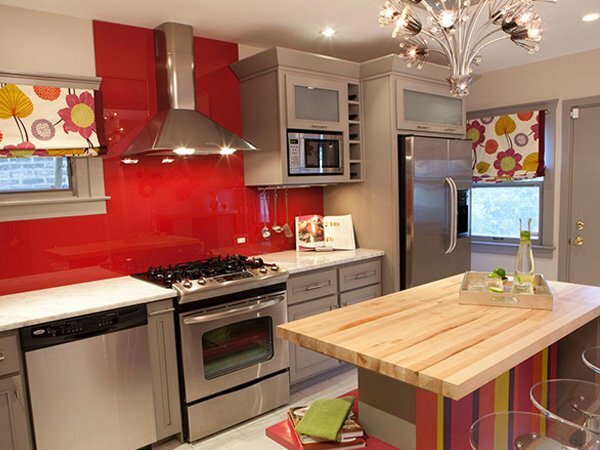 And lastly, remember: floral and geometrical patterns go well with red! 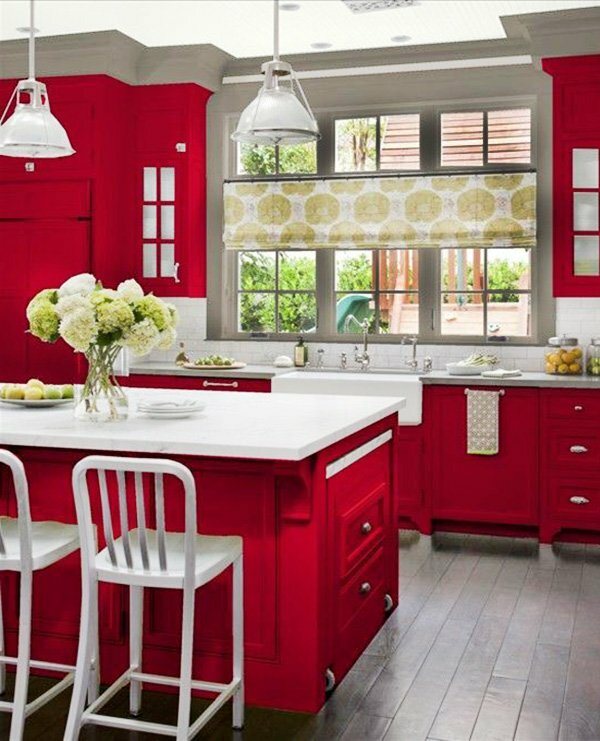 If you want your kitchen to be dynamic, energizing, vibrant, cool, and elegant, you should definitely choose red for the kitchen design. 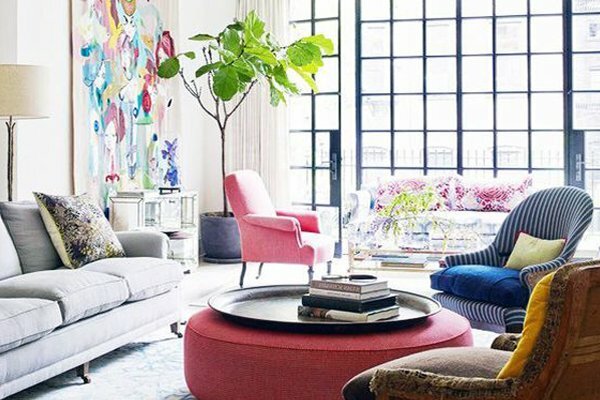 Check out these amazing designs and decorations to get inspired!